Are you using the right one for traffic in your area? Timing is everything, especially when it comes to your daily commute. A long road trip is subject to weather, closures, and peak traffic times. 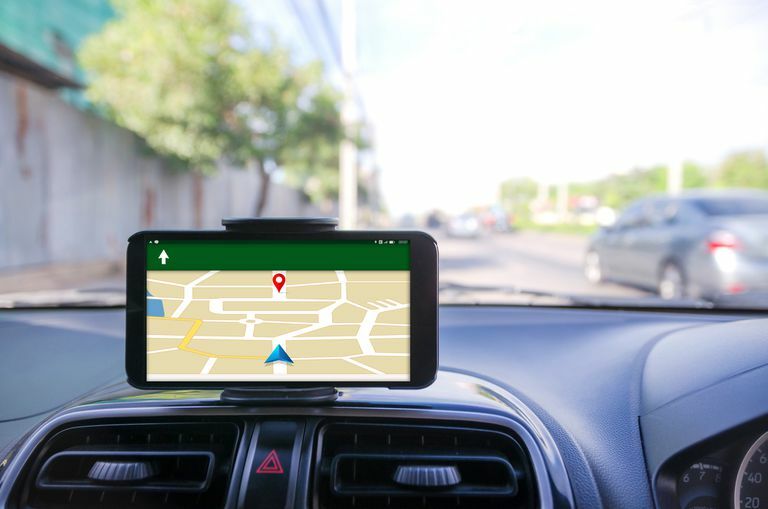 Save yourself some time behind the wheel and check out these apps that are ready to guide you quickly to your destination. Ability to save frequent locations, such as home or work, and project what time you should leave those locations to hit your next appointment. Links to Google Reviews for points of interest and recommendations from local experts on where to eat or catch a show. Offline mode lets you download maps for areas where you're headed, letting you use the maps even without cellular service. Occasionally as we start to navigate Google Maps is unsure of which direction we're currently traveling, which could mean that you'll be asked to turn around when you didn't need to, so pay attention to the actual map when you start your trip. Google Maps is undoubtedly one of the most prominent traffic navigation apps. It's evolved over the years from a basic turn-by-turn service to warning of traffic events and predicting what time you should leave to hit that meeting on your Google Calendar. With nearly 10 million downloads in the Android app store alone, it's a solid choice for your navigation. Zoom out on the map and see the weather in your area. Easily swipe through different information cards. Map data isn't quite as robust as other (Google-powered) options for lesser-known points of interest. Did you know that prior to iOS 6 iPhones came with Google Maps preloaded? Much like Google Maps, Apple's version can provide recommendations for travel times and routes based on your frequent locations and your calendar. Maps also provides Yelp reviews and informational links for points of interest. Maps comes pre-loaded on Apple portable devices. Voice controls for true hands-free navigation and event reporting. Use the "alerts only" mode on your daily commute to get a heads up for road hazards and police without getting turn-by-turn directions. Customize your voice options, even recording your own voice to give directions. Report your ETA to friends and allow them to track your progress. Spotify integration is cool, but the widget often gets in the way when tracking a friend's drive. Now owned by Google, Waze has all the knowledge of Google Maps paired with input from users on traffic conditions, road hazards, speed traps, and more. Additionally, it takes the calendar integration one step further and checks your Facebook events along with your Google Calendar, alerting you for when you should leave to make it to your appointment on time based on current traffic. Additional features are priced individually, so you only pay for what you want. Global user base and offline capabilities make this a great choice for navigation countries outside the USA. Some features, like traffic premiums, are $10-$20 each, but with options for lifetime memberships or package discounts. Monthly subscriptions renew automatically, so beware if you go that route. Sygic provides typical navigation app features, such as turn-by-turn directions and search functions, but it's also full of add-on perks. The base app is free, including offline options for downloading maps,add-on features, many less than $5, include the ability to project a heads up display and to see real views of your route. Access to traffic cameras to see actual road conditions. Turn-by-turn directions and alternative routes based on live traffic conditions. Customization for icons, frequent destinations, and more. Map data is not as robust as Google-based options. May track your location in the background (check your settings) which is hard on battery life. You might be remembering MapQuest as the program from the 1990's where you put in start/end locations and, wait for it, printed out your directions to take in your car. MapQuest has progressed quite a bit since then, providing a solid app for turn-by-turn navigation with handy features like favorite locations, night mode, and more. Crowd-sourced data keeps traffic conditions and maps up to date. Safety alerts for both traffic jams and weather conditions. App is reported by users to render and recalculate slower than some other navigation options. Downloading maps to work offline keeps you in the know even when you're on a subway or running out of data. Choose from options like shortest distance or fastest in selecting your route. Public transportation information, including fares. Voices are a little more robotic-sounding. Does not automatically convert to your current location's units of measure. HERE WeGo is your go-to for city navigation, especially if you need access to maps offline. Live traffic and public transit information, fare information for public transportation, and recommendations for whether a bus or a cab is your best bet are all part of the app. With information for over 1300 cities, this is the app to turn you into a professional city slicker.